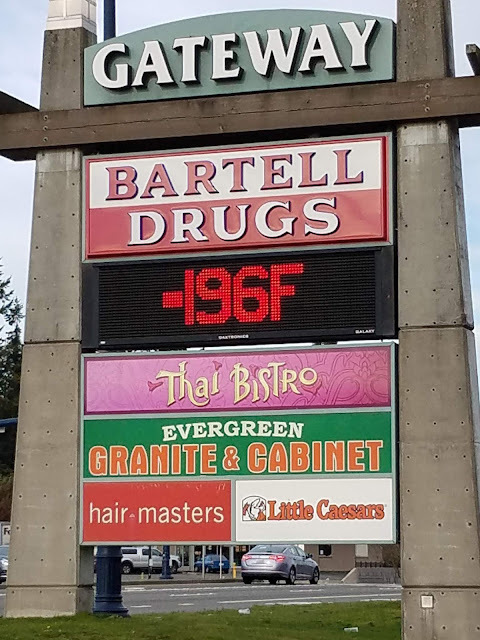 Shoreline Area News: Photo: How cold was it? Photo: How cold was it? It was definitely a bit colder, but this seems just a bit exaggerated. The sign is at Gateway Plaza, corner of N 185th and Aurora.